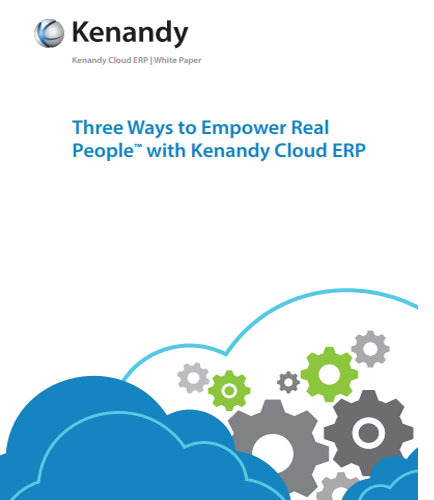 "Empower Your Business with Cloud ERP"
Now, it’s time to empower people with Kenandy’s cloud ERP solution. Empower your business with a modern ERP and arm your people towards higher levels of productivity. A cloud ERP solution that gives people in business and IT the speed, flexibility and access they need to pursue new business models and create better results. Want to find out more about empowering people with Cloud ERP? Download this whitepaper.